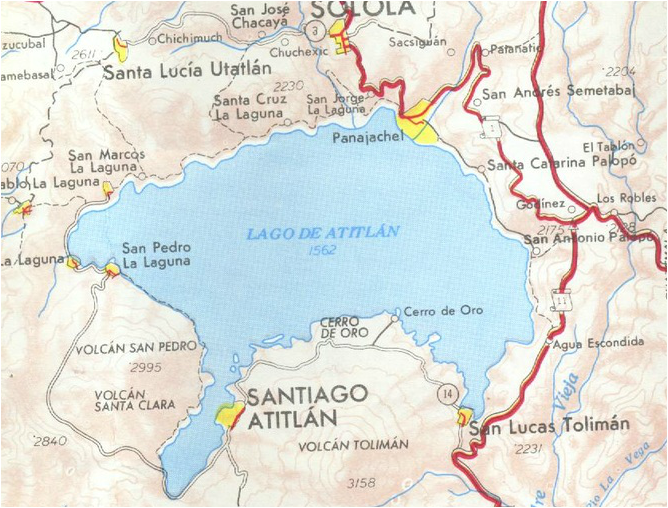 However, these are reputable people, businesses and organisations that have a long term connection with San Marcos La Laguna. There is something for everyone in this little lakeside village so expand your experience and try something new. Always trust your judgement and discover what works for you. Despite the beauty of the lake, what encouraged me to stay and make this my home was the Las Piramides Yoga and Meditation Center. They offer a one month Moon Course and a three month Sun Course. Both courses left me with amazing self realizations and an abundance of gratitude for everything in life. Interested in taking a Yoga Teachers Training? Sadhana Yoga School, run by Anjili and Bryan Russel offer excellent retreats around the world. Yes, You can even come to Guatemala and learn with them. Mahadavii Yoga Ashram﻿ in the next town over, Tzununa, also offers yoga classes, meditation, retreats, dark room stand teacher trainings. Daily yoga classes are also offered at La Paz Eco Hotel and at Del Lago. The Flower House offers courses, massages, Mayan Astrology reading and has a little store to buy super foods, supplements, herbs and tinctures. If you are interested in Astrology, Melanie Champagne is an excellent resource to understanding yourself and the psychology behind the meaning held within your birth chart. She offers birth chart readings via Skype. How do you feel about chocolate? Keith Wilson, known as the Cacao Shaman, has been sharing his expertise on this magical plant for many seasons here in San Marcos. There are Cacao sessions every Wednesday and Sunday at 12:30 pm. The beneficial properties of eating/drinking pure Cacao are numerous and it is especially known for opening the heart. So if you are up to diving deep within, while being supported by an expert guide, go spend some time on “the porch.” Private sessions are also available. Check out The Cacao Tribe on Facebook to see what is going on in the Cacao world. The Spirit of Cacao and the lessons learned “on the Porch” are taken from San Marcos and then hosted by many different facilitators around the world. One of these HIGHLY RECOMMENDED Dream Weavers is Angela Economakis. While here at the lake she trained intensively with Keith for several years. Now she is working her magic in Cyprus! So if you are over there check out her ceremony circles! The Cacao Tribe Luminaries - 3rd Wave Rising The 'Third Wave' generation are invited to join us for Cacao Ceremony and workshops here in Limassol, Cyprus, in an exclusive space created for their expansion, journeying, healing and activation. Aimee Hanson an aspiring and inspiring writer hosts different writing workshops and retreats in San Marcos and around the Lake. If you are looking to expand your writing skills and find The Story Teller Within, Aimee is a great guide to help you discover your writing potential. Jeremy Schewe. of Inchanted Journeys are looking forward to another wonderful year of gorgeous and empowering journeys to the sacred places that we strive to protect through conservation biology, retreats, and eco-tourism. But even more so, illuminating the invisible threads between the sacred portals of the earth and the homes in our hearts. Ladies and Gentleman! Wildlings and Dreamers! We are doing it. We are saving the cloud forest in Guatemala because of amazing people like you! Today we are putting down the money to purchase anither parcel of 115 acres with the Dragon Cave and one if the ancient oaks that we have spent time in the canopy of. We are winning and will continue to win because of your faith in this vision to protect one of the last primordial lungs of the earth. You are amazing! We love you! Spread the word....we are still looking to purchase thousands of acres. Connect with Jeremy Schewe or Ann Averbach in the links above if you would like to help preserve this precious land! Interested in more silence in your life? The Hermitage in the neighboring town of San Pablo offers silent retreat space for groups and individuals along with a Dark Room where you can stay in darkness for your desired amount of time. Although there are many people in need here, please try and advocate conscious tourism. 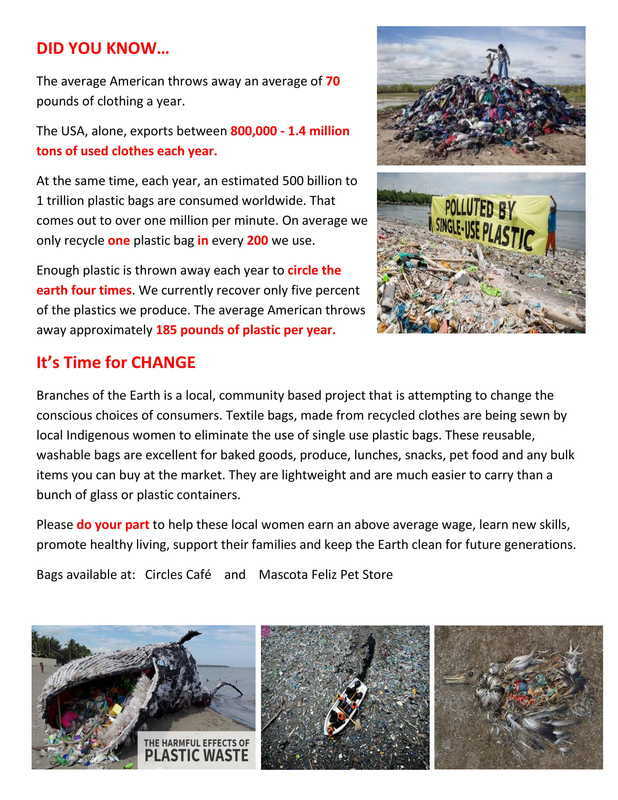 If you are looking to donate your time, energy or money to help the people become SUSTAINABLE, here are a few options to get involved. La Cambalacha is an amazing cultural arts program that allows kids to play, paint, create, move, share and learn. The program runs twice a week for school aged children. Donations of art supplies, equipment and volunteer time are always greatly appreciated. Nutrition Center Konojel is a community based project that feeds over sixty people lunch Monday to Fridays. They have been working on planting vegetable gardens, collecting seeds, dry fruit in a natural sun dehydrator and working with kids in an after school program. If you would like to get involved with this organization there are lots of opportunities available to do so. The Nutrition Center is located up the hill in Barrio 1 just below the Municipality building. You are welcome to pass by and see how it all works. ﻿Return To The Forest﻿ is a locally run project by Charlie Rendall. It is an opportunity for local workers to learn how to build with natural materials. He was the major designer at The Yoga Forest, is currently building a bamboo hotel in Tzununa and is responsible for many other beautiful building around the lake. He also has natural building workshops for Foreigners offered at different times through out the year. JUSTA is a holistic network that connects indigenous artisans, global designers, and sustainable projects. We connect artisans with self-sustaining development, creative expression, and holistic empowerment within family and community. Our design project, Global Just Designs, connects conscious consumers with original, upcycled, neotribal designs that bridge indigenous tradition with contemporary sustainable style. The neurological science behind becoming a parent is fascinating. Quite often as soon as you become responsible for a child’s complete development, your opinions and ways of doing things begin to change as you start seeing the bigger picture of what your life and life choices create. Manda Aufochs Gillespi (other wise known as The Green Mama) is a phenomenal resource on many eco and child friendly topics. She is the one to trust as she spends countless hours researching questions to give you a clear understanding of what is in the best interests of your child. Her book, The Green Mama, Giving your child a healthy start and a greener future is available at Amazon. If you are looking for a place to stay next to the lake, Maya Moon Lodge in the next town over, Tzununa. The Lodge is facing the lake, with a private dock, lake toys, a full service restaurant (great food) and is staffed with great people. It is a 5 minute boat ride, a twenty minute walk, or a ten minute tuk tuk ride from San Marcos. It gives you the opportunity to get to and from town easily while enjoying the peacefulness of being in front of the lake.